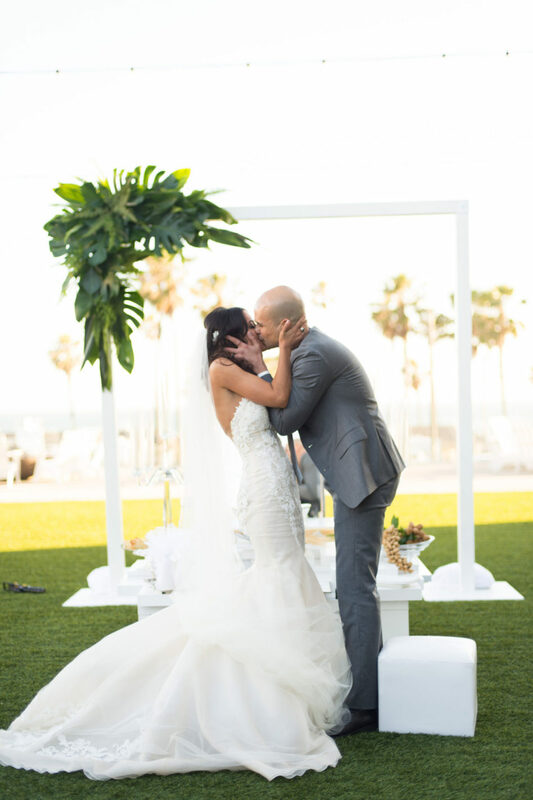 Maryam and Alex’s gorgeous wedding celebration at The Pasea Hotel in Huntington Beach has been featured on Belle the Magazine. 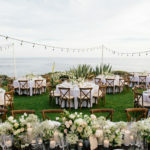 Their beachy yet glamorous wedding serves as a stunning inspiration for anyone looking to embrace the Southern California style in a sophisticated way. 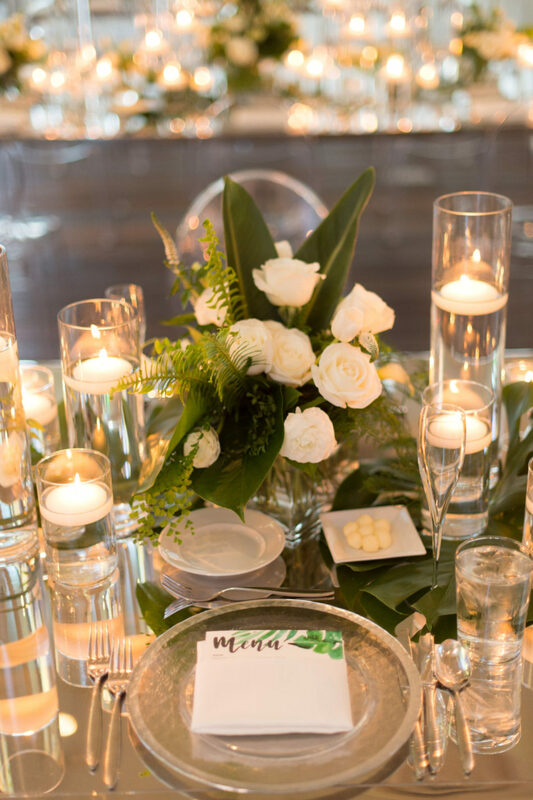 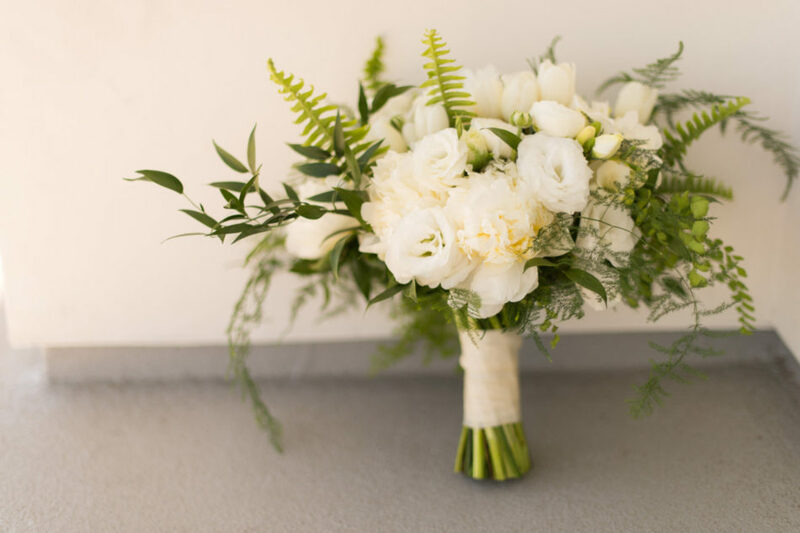 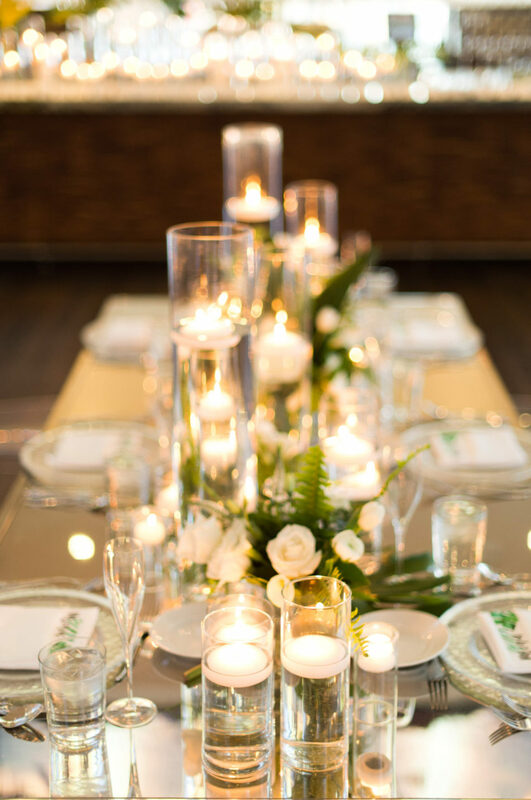 “Their Contemporary Glamorous Wedding was beautifully decorated with green monstera leaves and assorted white florals by Flowers by Cina for a fresh, tropical feeling. 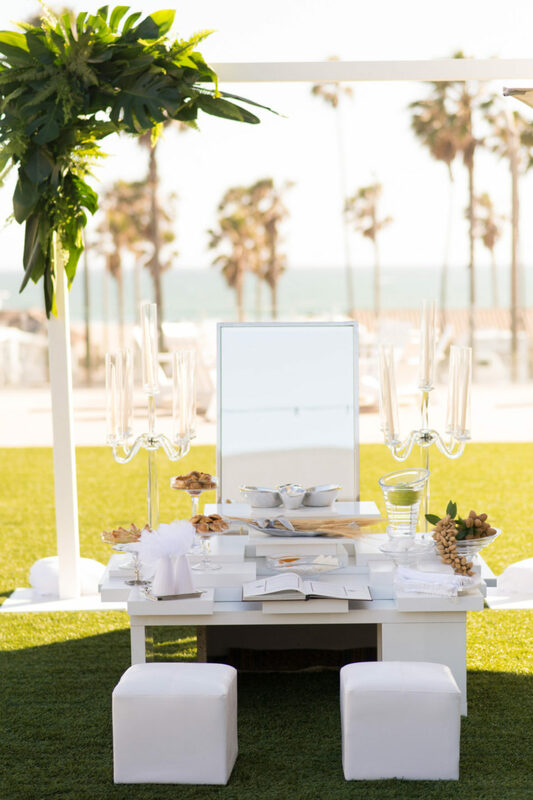 The mirrored tables and clear chairs made for a sleek, modern look” – Belle the Magazine. 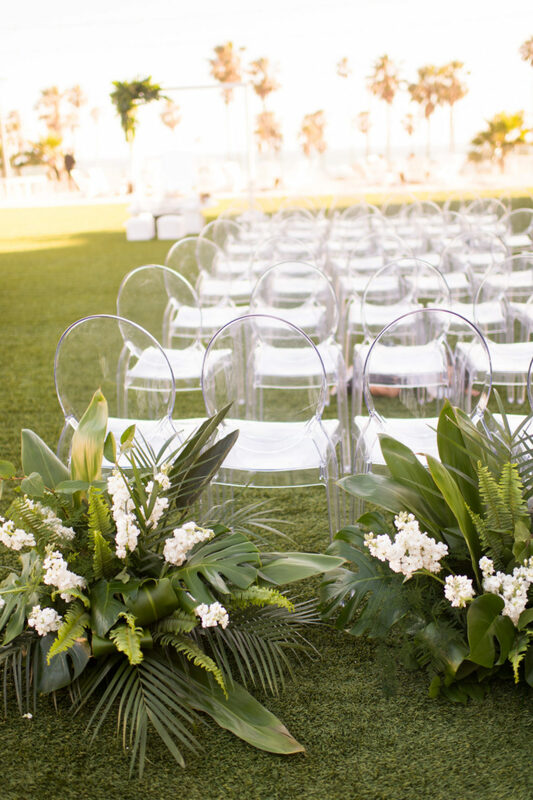 Clean and elegant decor paired with the tall, backdrop palm trees gave this outdoor event the perfect Californian flare. 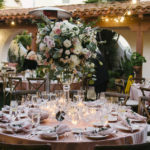 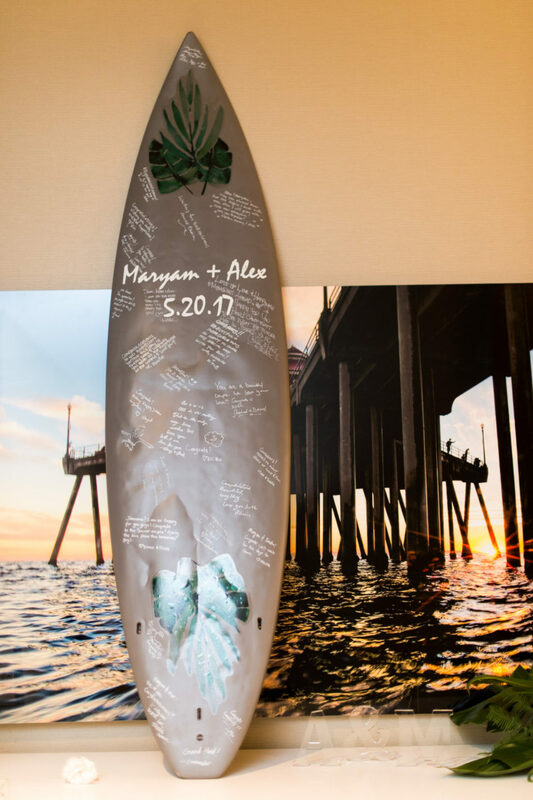 The ultimate staple that tied this Southern Californian event together was the surfboard used as the couple’s guest book to gather signatures and happy wishes from family and friends. 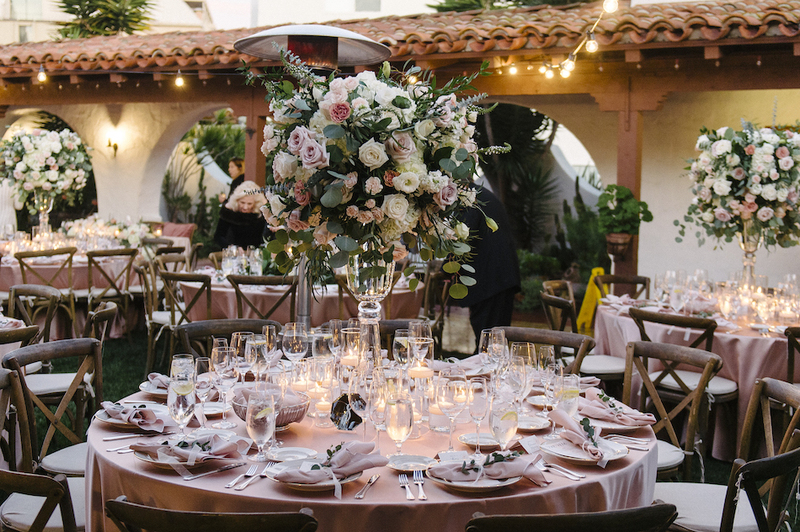 Maryam and Alex’s incredible wedding was planned by Katie at Intertwined Events and every gorgeous shot was captured by Studio EMP. 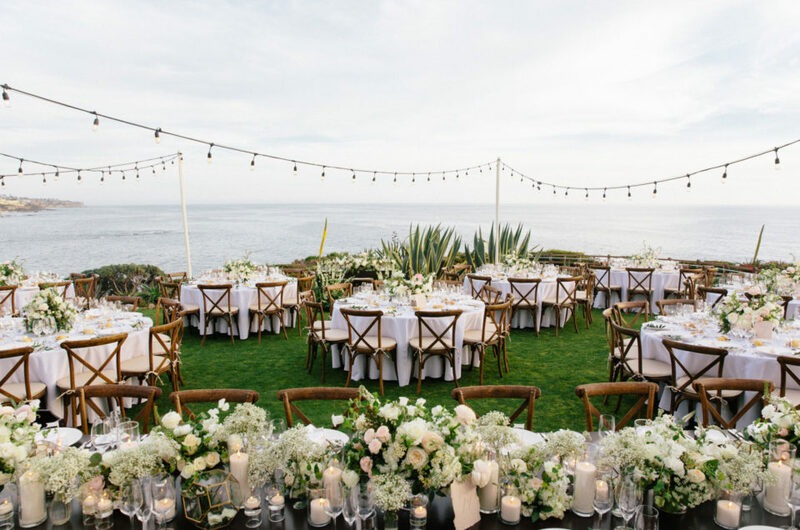 See all the details from this spectacular celebration on Belle The Magazine HERE.